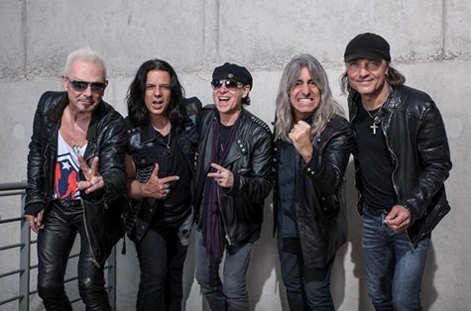 Drummer MIKKEY DEE Joins SCORPIONS Permanently! The Scorpions are on the move! After last year’s massive sold-out world tour, the band is back to rock stages even harder. On their gigantic 50th Anniversary World Tour that kicked off in 2015, the Scorpions are heading to Eastern Europe in February before returning to the US with an impressive five night run at The Joint inside Hard Rock Hotel & Casino in Las Vegas and playing even more shows in cities around the globe. The Scorpions have been going full throttle for more than fifty years now, with their best-selling albums dominating the charts for over 500 weeks in Germany alone, and countless chart successes abroad, as well as thousands of unforgettable concerts in cities like Rio de Janeiro, Tokyo, Moscow, New York, Los Angeles, Paris or Berlin. The Scorpions are and will be a band of superlatives. There is no other German band, which has gained as much international success and popularity over the course of so many decades. When the rock band from Hannover presented their 18th studio album “Return To Forever” for their 50th band anniversary one year ago, Klaus Meine, Rudolf Schenker and Matthias Jabs displayed that they are unabatedly in formidable shape. Simply world-class. The Tour Edition of “Return To Forever” comes opulently stacked with two brand-new live DVDs and a CD and is bound to make fans’ hearts leap for joy. Apart from the standard album’s twelve tracks, the CD contains all seven bonus tracks, which to date, have only been released on special editions of the album. The live DVDs are even more expansive, offering generous bonus material. Included are two complete concerts from last year: The open air gig at the French Hellfest Festival, where they headlined in June, and their show at the Barclays Center in Brooklyn, New York featuring an impressive guest performance on “No One Like You” by twelve-year-old guitarist Brandon Niederauer. The brand-new fifteen-minute video documentary “On The Road in America” by Dennis Dirksen gets to the heart of the matter that the Scorpions are able to consistently attract new generations of fans, who are delighted by their songs, sound and shows. Shot during the current world tour in California and Las Vegas, it gives a voice to fans spanning from teenagers to rock ’n’ roll veterans. The film impressively shows how popular the Scorpions are in the US, and it’s touching to see fans burst into tears while taking photos with the musicians. One highlight is the story of the Ukrainian woman, who at the time used “Wind Of Change” as an impetus to emigrate to the US, and has been a dedicated follower of the band ever since. 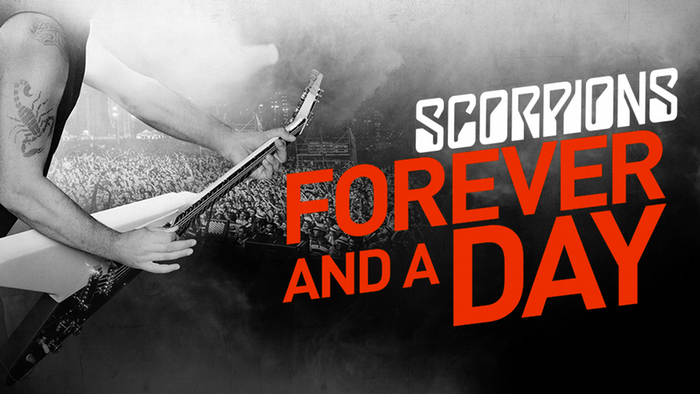 After all, the Scorpions have not only left their mark on history but continue to influence their fans’ biographies. In an extensive track-by-track interview, Klaus Meine, Rudolf Schenker and Matthias Jabs offer a sneak peek into the band’s musical universe with anecdotes about the origin and meaning of the songs on “Return To Forever”. 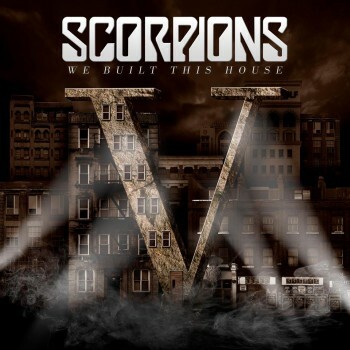 The Scorpions manage to blend new songs like “Going Out With A Bang”, “We Built This House” and “Rock’n’Roll Band” seamlessly with their fulminant repertoire of rock classics from “Big City Nights” and “Blackout” to “Still Loving You” and “Rock You Like A Hurricane”. This might also be the open secret allowing The Scorpions to continuously approach their live shows with so much freshness, passion and conviction. Fans can look forward to the upcoming gigs – especially because the Tour Edition of “Return To Forever” is a timely release as the perfect souvenir. And now: It’s showtime for the Scorpions! The “Return To Forever” Tour Edition will be available on April 22nd, 2016, in the USA, as a 1 CD + 2DVD Digipack and as download. In 2015, the legendary SCORPIONS will be celebrating their 50th Anniversary with both a new studio album (Return To Forever) and World Tour. Click the link below to stay up-to-date on the ticket info, countries, cities and venues that are confirmed for the SCORPIONS 50th Anniversary World Tour! Hail SCORPIONS! Metal be thy name! 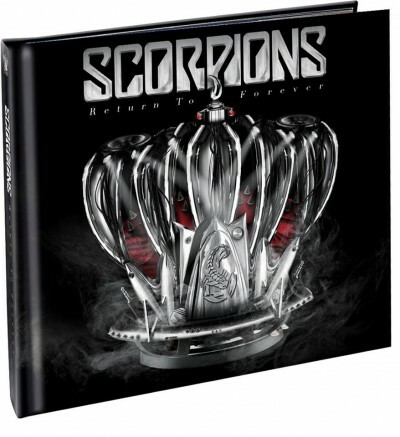 SCORPIONS – New Studio Album “Return To Forever” Releases On February 20th, 2015! Our upcoming new album “Return To Forever” will be released as Standard Jewel Case CD, Deluxe CD including 4 bonus tracks, Double Heavyweight Vinyl and a very special Limited Collector’s Box Set containing the deluxe album, an exclusive “Return To Forever” T-Shirt, a 7” Picture Vinyl Single, signed autograph card by all five of us, an USB-lanyard including fanpass and a 2CD-audio-book! Check it out on www.the-scorpions.com! Let’s push the pedal down to the metal!!!! 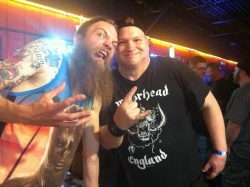 Camarillo, CA – Rock fans worldwide rejoice! 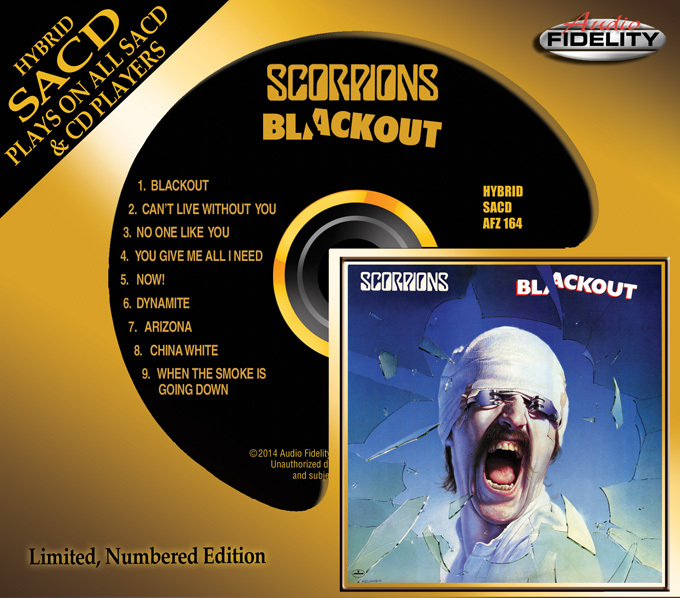 Marshall Blonstein’s Audio Fidelity is releasing rock legends Scorpions most successful album “Blackout” on limited edition numbered hybrid SACD! “Blackout”, their eighth studio album, is Scorpions at their peak… it is the band’s 1982 break-through album that made them global superstars. Every song is a gem and this album contains a splendid balance of pop/rock, power ballads and catchy hard rock. Scorpions dish-out fist-poundin’ anthems like the top ten hit “No One Like You” then turn around and offer the soul-stirring ballad “When the Smoke is Going Down”. Klaus Meine is a singer who knows how to wring the last ounce of impact from each song.The band sounds great as highlighted by the fast-paced performances of guitarists Rudolf Schenker and Matthias Jabs. Herman Rarebell and Francis Buchholz add a tight and powerful drum and bass bottom.”Blackout” is the band’s most solid and rockin’ album. Dieter Dierks production is immaculate. A self-portrait of artist Gottfried Helnwein is featured on the cover of the album.